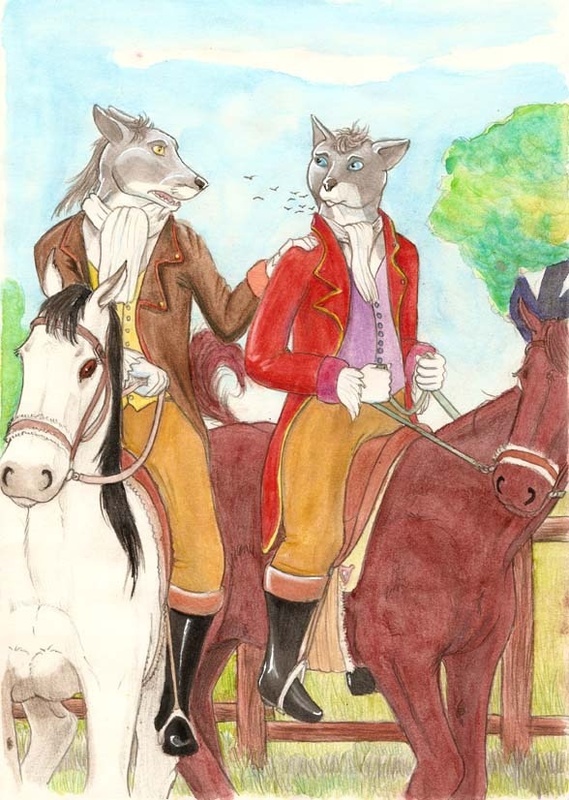 This picture was done by Anbessa on FurAffinity of my rubber wolf fursona and his rubber father in Victorian England. "Now listen son, I got something to say. This is serious. ", Edmund said as his ears folded back. "What is it father? ", Axel said. "I waited until you became a handsome gentleman to say this but I love you son. Not just a father and son way, but I am deeply in love with you. I want you to become my lover and mate as I want you to let me to be your lover and mate. ", Edmund said nervously, afraid of how his son will react but was shocked when his son kissed him on the lips. "I would be honoured my dear father. ", Axel said proudly. A follow up is coming up soon.